The use of toothpaste may scratch or dull the surface of your appliance. Be sure to remove your appliance when brushing your natural teeth. Please keep Val-Clean® Concentrated Dental Cleanser solution out of reach from children and pets and away from clothing. If you experience any discomfort, unusual movement, or irritation from your dental appliance, please contact your dentist for assistance and follow the instructions of the dentist prescribing the appliance. Congratulations on receiving your new dental restoration. Your removable device is custom- made specifically for your mouth. You’ll be glad to know that most patients become quickly accustomed to wearing a removable restoration. As with any custom-fabricated prosthesis, there may be an adjustment period, especially if you have not worn a dental appliance previously. If you experience any persistent irritation, please contact your dentist so that he or she can make necessary modifications to your appliance. Your new restoration, like your natural teeth, requires care and good oral hygiene. Val-Clean® Concentrated Denture Cleanser will safely, quickly, and effectively maintain the cleanliness of your removable dental appliance. Rinse your appliance under running water. Loose particles can be removed with the use of a specially-designed Denture Brush. Ordinary toothbrushes should not be used as these may scratch the surface of your appliance. 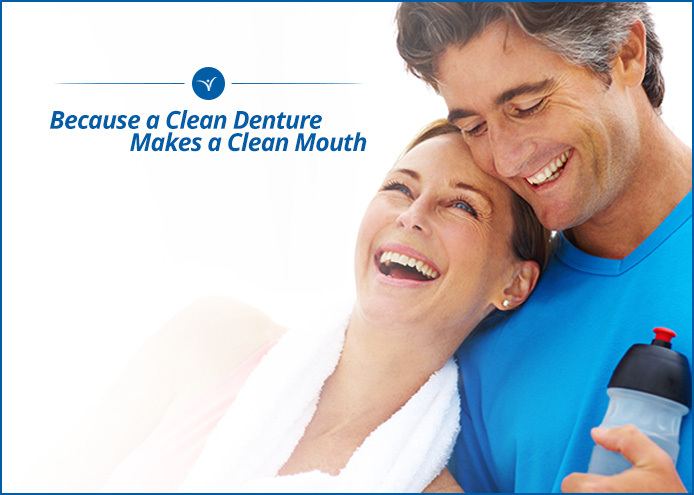 Soak your appliance in Val-Clean® Denture Cleanser for 10-15 minutes daily. You may also soak your appliance overnight 3 times a week for effective cleaning. 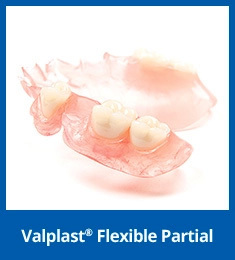 Enhanced cleaning may be achieved with the use of a vibrating denture bath such as the Denture Sonic or Denture Spa, also available from Valplast Supply Services, Inc. Your dental appliance should remain hydrated when you are not wearing it. Store your appliance in the Val-Clean® solution or plain water whenever it is not being worn.